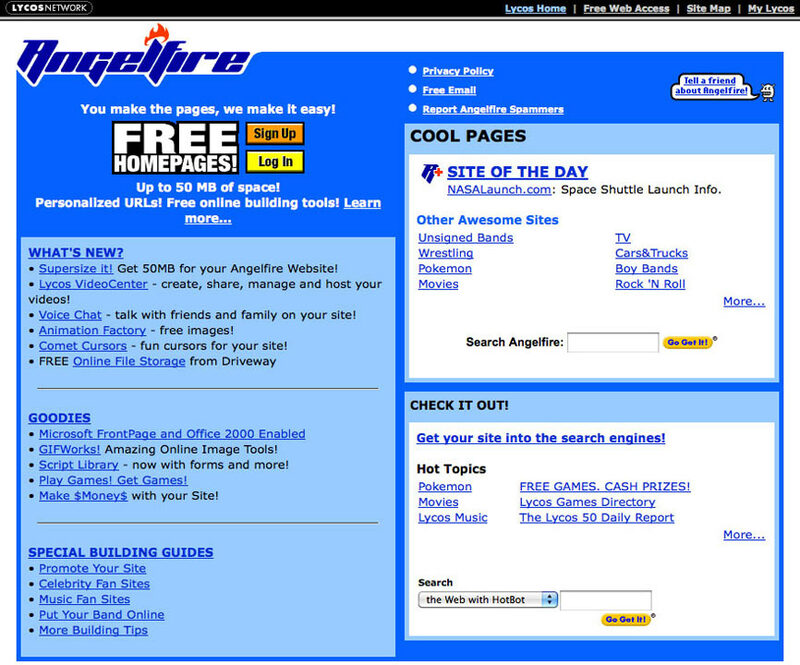 Angelfire has been providing web hosting services for about as long as they've been offered. 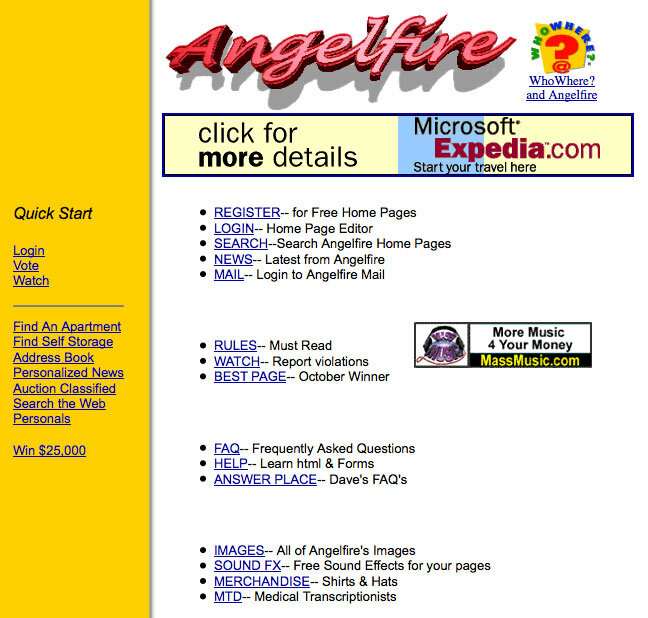 Originally launched in 1996, the original version of Angelfire was a combination website building and medical transcription service. Back in those earliest days, every change to a page on a member site had to be approved by a moderator. Ahhh... the crazy days of the early Internet. 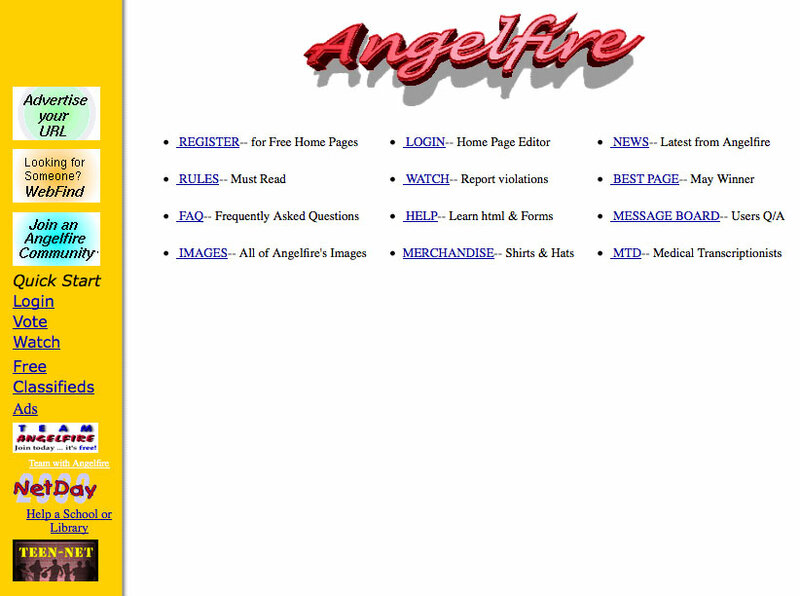 Angelfire eventually dropped the transcription service. Its core business became web hosting services with free and paid membership plans. 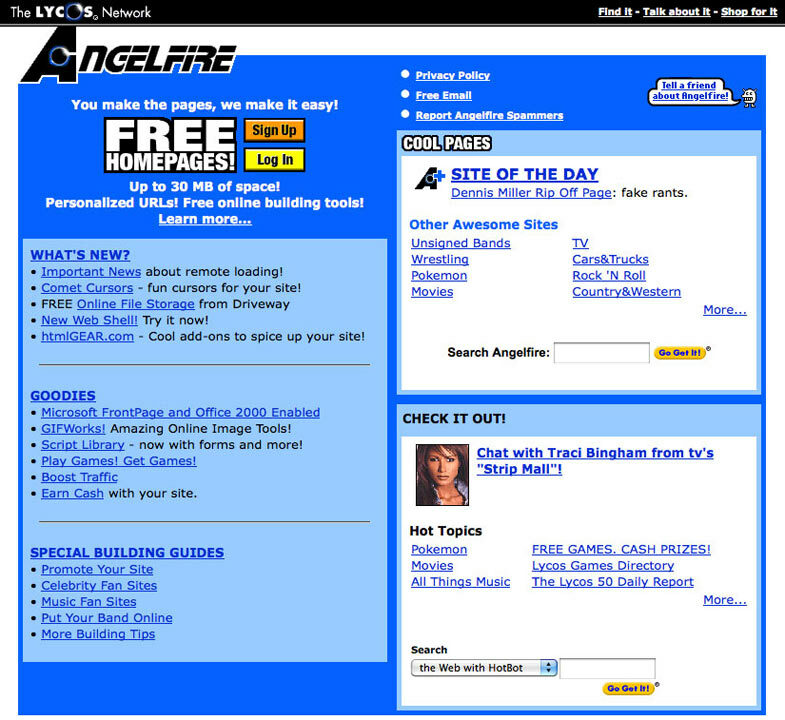 WhoWhere purchased Angelfire in 1997. Subsequently, Lycos purchased WhoWhere in 1998. 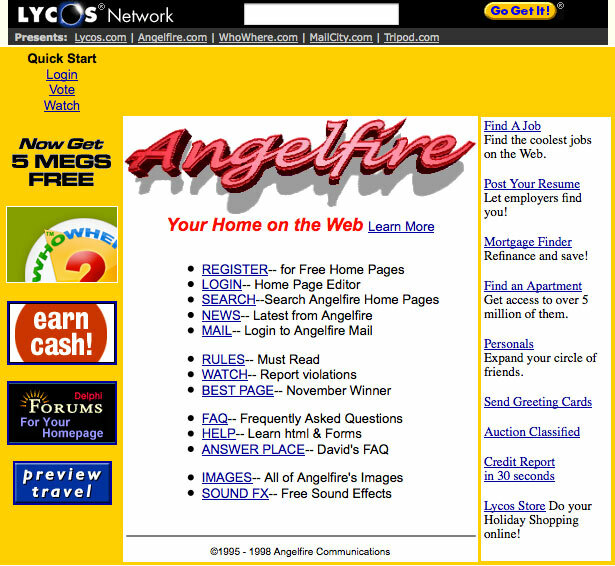 Angelfire is still owned and operated by Lycos. 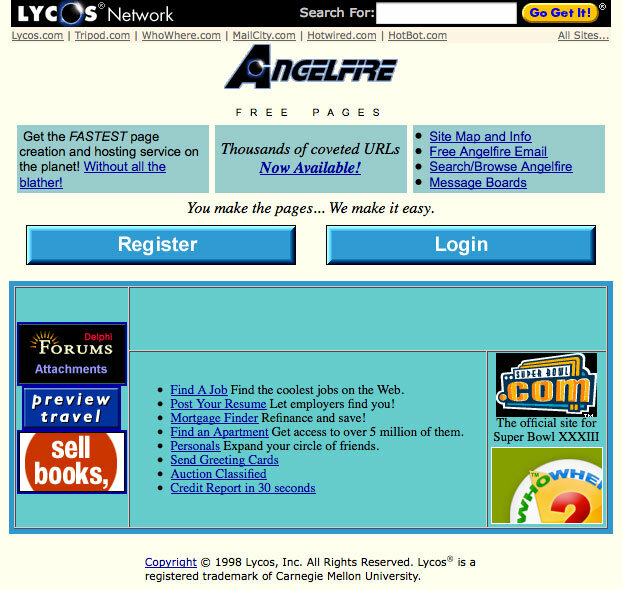 Through the late 90s and into the early part of this century, Angelfire grew rapidly and became a primary destination for people looking for a good, free hosting company. Now Angelfire has undergone another transformation. The version released in 2010 focuses primarily on the site builder tool developed here at Lycos. 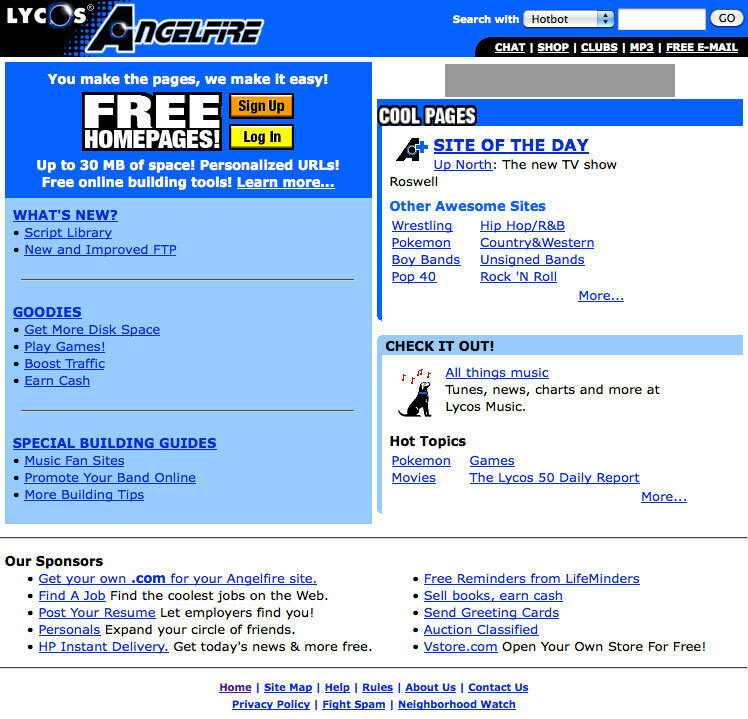 Angelfire also has evolved its community outreach with Facebook, Flickr, YouTube and Twitter accounts. 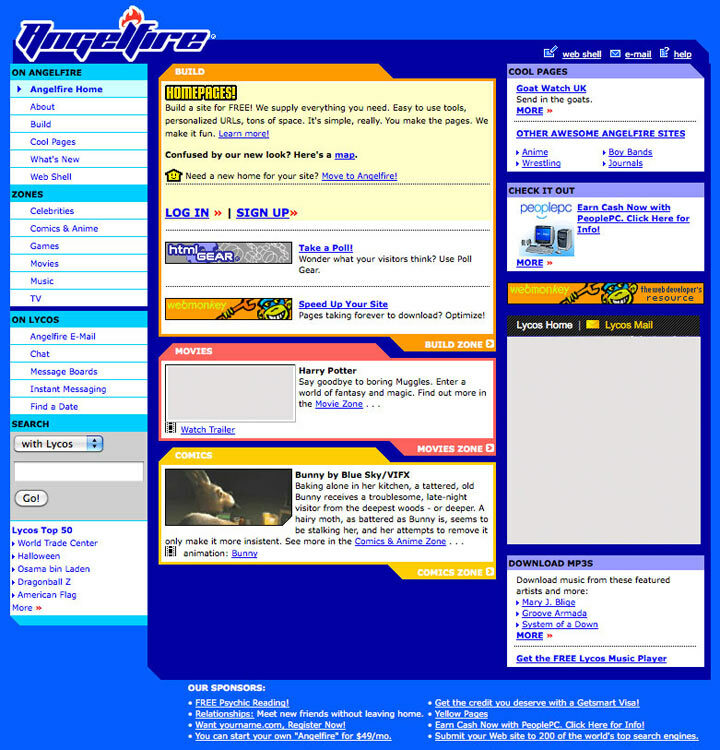 Take a look back at Angelfire's previous web designs. Click the image below to launch the gallery.